Every industry is feeling the shift in customer expectations and attitudes as the world shifts to digital. Considering that close to 90% percent of the world is online, consumers – well practically everyone – has become accustomed to the engaging and instantly gratifying experiences that Amazon, Apple, Zappos and the like provide. And those expectations are only growing. Today’s mortgage industry is no different. Lenders are experiencing the same user experience demands, cost pressures and ecosystem disruption that most other segments are facing. Priorities have begun to shift now that the mortgage industry has been required to implement the TILA-RESPA Integrated Disclosures (TRID) rule. Lenders are now focused on technology to help address rising costs, reduce inefficiencies and deliver faster and more personalized borrower experiences. There are plenty of benefits to lenders, including cost containment and reduction, the ability to develop new business, and lower portfolio attrition. According to a recent J.D. Power Primary Mortgage Servicer Satisfaction Study℠, 63% of borrowers will switch lenders for a better customer experience. The bottom line: to stay relevant now and into the future, effectively transitioning to digital is a business imperative mortgage providers must embrace. A. Digital experience modernization: As noted above, the lending experience for borrowers continues to be outdated, complex and out of sync with other brands. A poor experience can be interpreted as a blatant disregard for borrowers. Native mobile, responsive design and human centered UX, among other modern approaches, are all paving the way for lenders to improve and update the borrower experience as well as distinguish their brands. 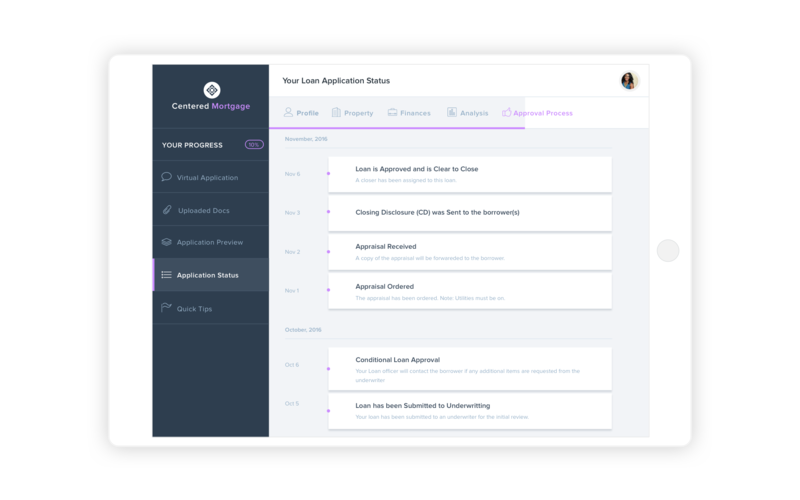 A well designed solution such as a loan application tracker provides a simplified and stress-free borrower experience that’s accessible 24/7 from any device. B. New or simplified digital processes: There are opportunities to improve, simplify and automate both borrower-facing and internal business processes. These include eliminating manual or paper based processes through alignment with digital interactions around self-service, workflow, digitized document management and e-signatures. Additionally, lenders can access powerful analytics for at-a-glance portfolio monitoring and control to validate data and documents at different stages to drive faster, better, smarter decisions, and ultimately produce higher quality loan applications. 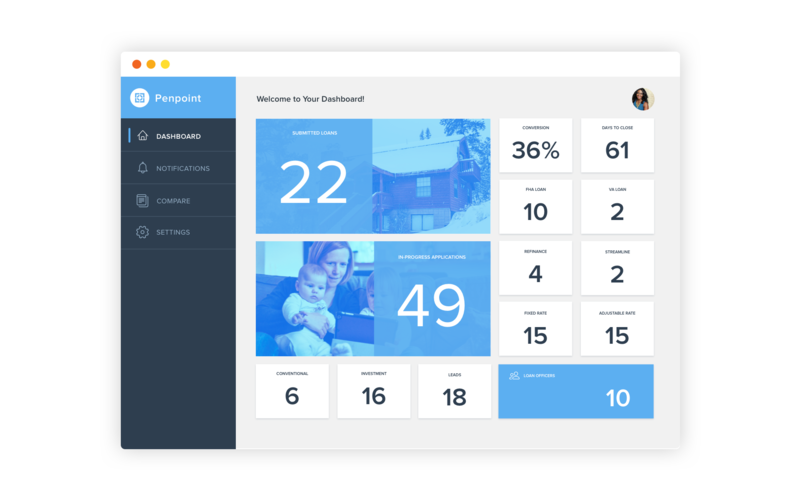 A customized lender dashboard provides important information with at-your-fingertips business intelligence and loan status. C. New digital capability: This strategic tenet is about launching a capability, service or product that doesn’t already exist. It requires defining, validating, developing and delivering something new and innovative to operate more efficiently, grow revenue or reach new markets. It also means ensuring that this new "solution" seamlessly integrates with a lender’s existing enterprise application, LOS or rules engine data. 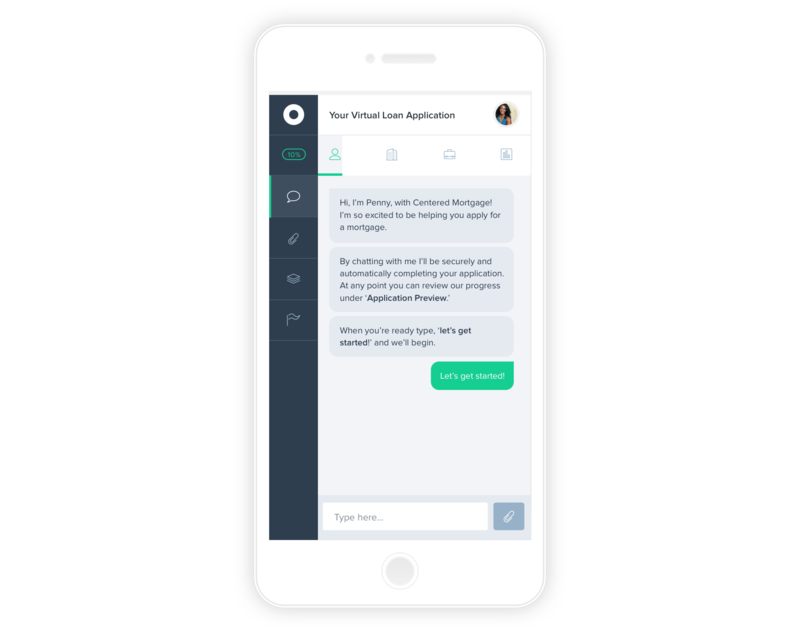 Innovative solutions such as the use of chatbot technology automate the loan onboarding process through conversation simulation, seamlessly guiding users through the application process.